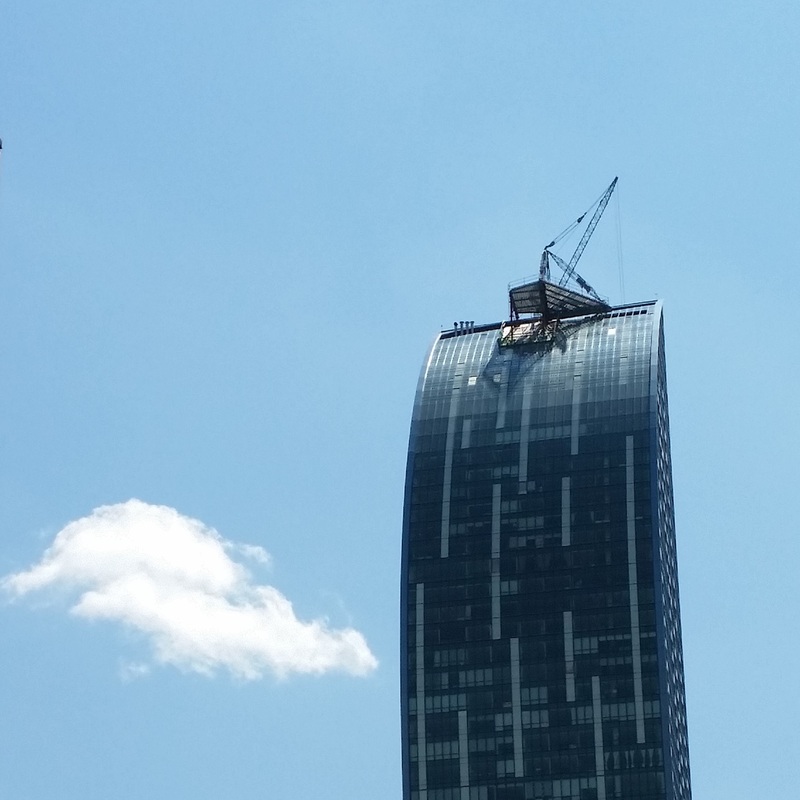 The L tower crane was successfully removed on May 18th. 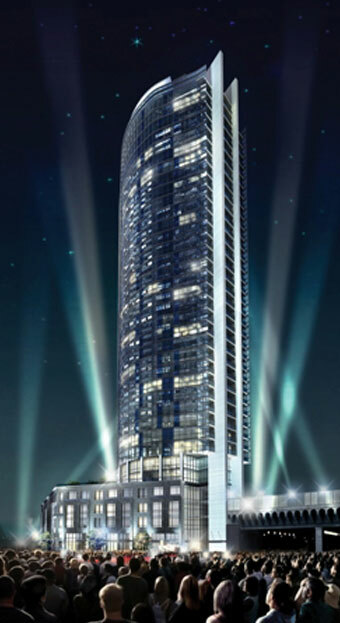 This effort required many hors of skilled and challenging work to accomplish by the dedicated construction team. 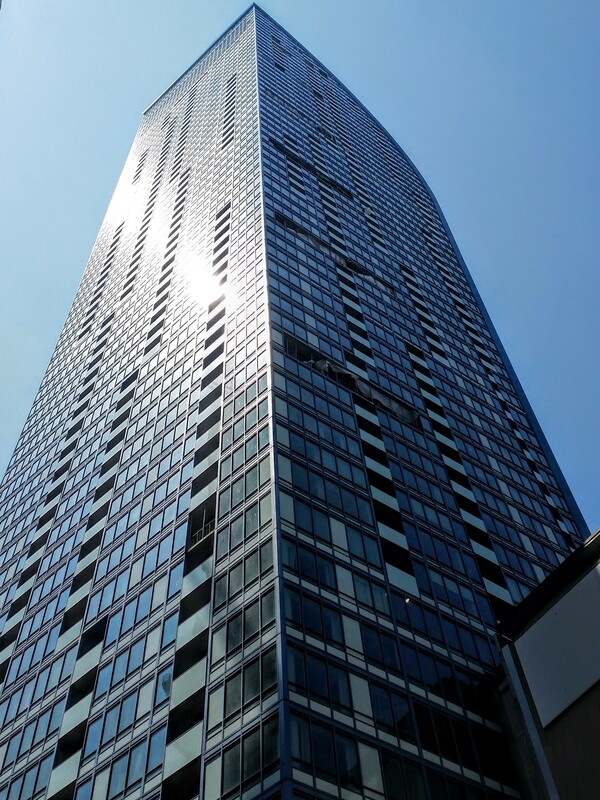 The final phases of remaining exterior work will now be the focus of work at the L Tower. We will post a new update on June 1. 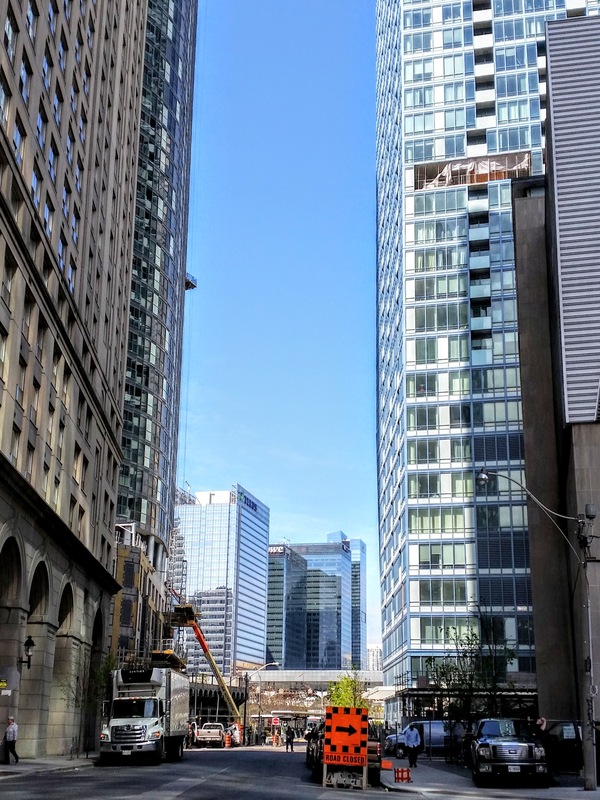 The L Tower from Yonge Street after the crane removal, May 19, 2016. Windows will be installed in the areas where the strut supports for the crane had been attached to the building. Sidewalk work will follow once all exterior work is completed. The maintenance platform on the top floor will be completed in the coming weeks. 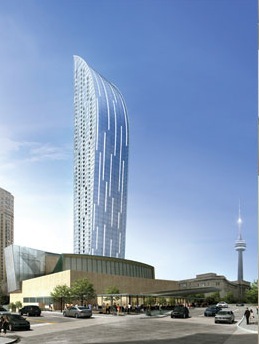 The NW plaza at the Sony Centre will continue to worked on and is set to open later this year. 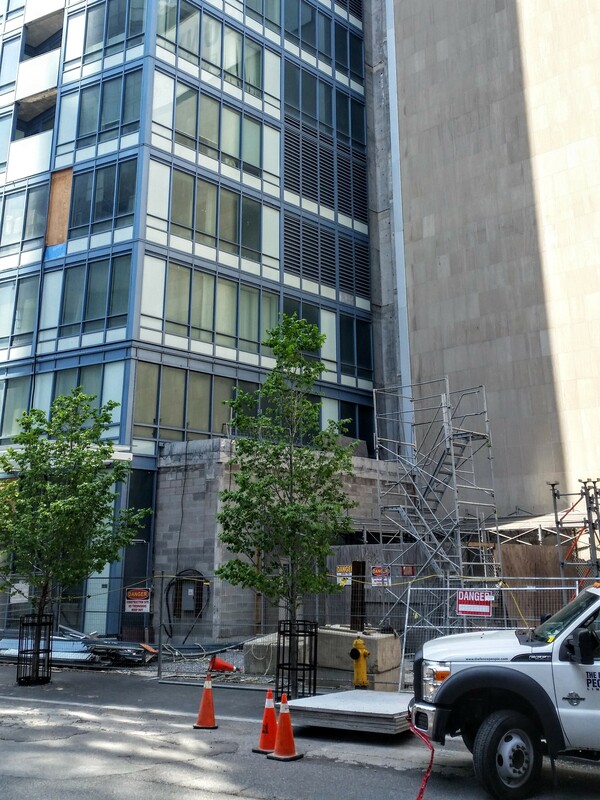 With the L Tower crane removed, remaining exterior work includes completing windows where the struts were attached and finishing the sidewalk areas once that work is done, May 19, 2016.